Dean Lesser has a PhD in psychology from the University of Wisconsin–Madison and postgraduate training in corporate consulting and counseling. He has been a consulting and clinical psychologist for nearly 30 years, and since 1997, he has brought the depth of his clinical practice to the business community and corporate environment. Dean helps leaders see the broad picture in their organizations, clarify their vision, and make decisions that lead to interpersonal and business success. He has coached executives and staff members on how to resolve conflict and create harmonious and effective leadership. He offers a deep, articulate, and precise understanding of how human and cultural dynamics affect organizational performance (see suparnapartners.com). 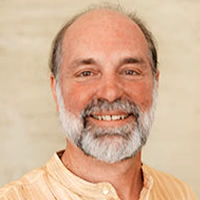 Dean has also studied ancient traditions of the east with world-renowned teachers, and for 30 years, has been committed to daily spiritual practices. This inspires his work with clients in the organizational setting, as he helps them reconnect with the spiritual dimensions in their lives.